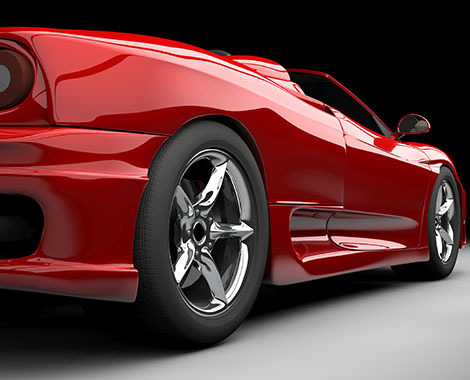 Garry's Automotive Wax is the best one-step wax cleaner in its class! Give Garry's ROYAL SATIN a try with your bus, truck, car, RV, or heavy equipment and learn why our easy-on, easy-off, one-step cleaner and auto wax is so loved by detailing professionals. The product offers a unique blend of carnauba and cleaners specially formulated to remove surface oxidation and provide a high gloss shine that gives long-lasting protection against salt, sun, chalking, and other related weathering effects. Garry's ROYAL SATIN is currently offering their premium line of car care products in these exclusive detailing packages, which include the new EASY SHINE Detailing spray (with Carnauba! ), together with their signature blends of clear coat cleaner wax formulas. Choose from either liquid or cream paste. Now, you can clean and polish your automobile all in one easy step, and keep that showroom shine looking great and long-lasting with the new quick wax maintenance spray! Garry's ROYAL SATIN ONE-STEP cleaner waxes are designed to provide protective deep-cleaning for clear coat and non-clear coat surfaces, by removing the contaminants, residues, and hazy films that block the natural high-gloss shine from today's boat and car finishes. 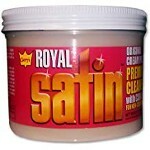 Garry's ROYAL SATIN is a great product at a great price. Call us for bulk price and distributor prices available. GARRY'S ROYAL SATIN ONE-STEP Automotive wax The Professional’s choice has been recognized as a premium wax product for its ease of application/removal for over 40 years. Garry’s Royal Satin is an economical high quality alternative to the high priced wax products currently in the marketplace. GARRY'S ROYAL SATIN’S Creamy Paste texture with a blend of multi-wax & cleaners is a signature for quality. Garry’s non-gritty natural creamy smooth texture and liquid formula allows an easy-on, easy-off application which provides a long lasting protection against fading, chalking, oxidation and UV exposure. Garry’s ultra blend of Carnauba and Hydro-Polymers guarantees restoration and shine. GARRY'S ROYAL SATIN ONE-STEP Cleaner Waxes (32 oz) Clean and polish your car in just a single step and keep the showroom shine looking great with our quick wax maintenance spray. Garry’s ROYAL SATIN ONE-STEP cleaner waxes are designed to provide deep cleaning for both clear coat and non-clear coat surfaces. This formula removes contaminants, residues, and hazy films that block the natural high-gloss shine from today’s finishes while adding an extra coat of protection from the elements without a layer of haze and build-up. Our gallon-size Garry’s ROYAL SATAIN ONE-STEP cleaner waxes simplify car washing. With this, you can clean and polish your automobile all in an easy step, all while keeping the showroom shine looking great with a new quick wax maintenance spray. By removing contaminants, residues, and hazy films that block the natural high-gloss shine from today’s finishes and adding an extra coating of protection, we’ve created a simple, one-step cleaner for your car.